Day after Thanksgiving. Funny day. Missing family. A day alone, working on a project. It's 60 degrees, unusually warm, almost sunny, so went for a bike ride. Nature and exploring usually cheer me up. Sun usually cheers me up and it poked through clouds dimly. Rode along the river: dog walkers, joggers, bikers, kids. Came home in same moody mood. Received an online invitation to a winter wedding. Yippeee! Immediate excitement and cheer. Snowy wedding at a ski slope. "It's a nice day to start again." a gift for the holidays? is really hard and fried cheesecake is surprisingly good.
" In Zen, the greatest kindness is to help others to practice and discover their own profound and unfailing strength." "Zen masters push students to see how deep the desire for practice is, to see whether the student will climb back up on the cushion despite the rough treatment. Is the student seeking candy from the teacher or is she seeking the real thing?" My teacher Inamoto Sensei says, "Place your hands, surrender, smile." That is his instruction for sharing Reiki with another person. "Place your hands;" well, that's simple. 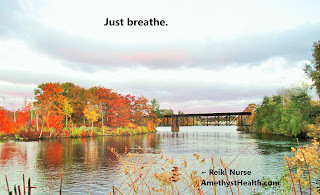 Reiki is simple. "Surrender:" release any attachment to the outcome. Surrender your ego. 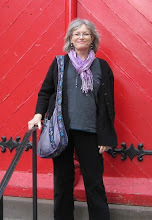 "Smile," because now you're in the flow of universal life force energy. 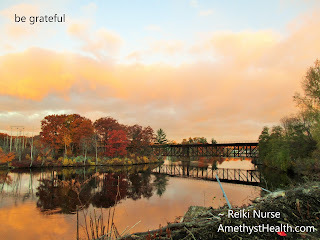 Reiki is bliss. A great gift for you and your friends. 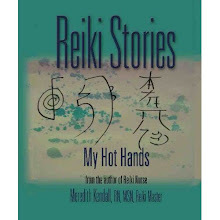 Reiki friends. Nurse friends. 11 hours on a cold dark Maine night. Rose at dawn. Less than two hours later I've caught up with housework. I stripped the bed and am washing the sheets. I'll hang them outside, I love that outside smell on the sheets. I'm airing the down bedding in the cold sun. I put away clean dishes, alpaca fleece, and work uniforms. I sorted and put away a pile of socks. Watered the plants. Washed, oiled, and salted and now roasting potatoes and mushrooms. Am soaking delicate blouses in the shower. I spray them with cold water, squirt peppermint soap, soak, squeeze, soak. I'll hang them outside too. What's left? Vacuum. Go out and purchase the makings of laundry detergent: washing soda, baking soda, and borax. Purchase a long trimmer for the hydrangea bush. A big hook to hang my bicycle from a basement beam for the winter. A tire pump and gauge. Grade papers. Then rest, relax, breathe. Be. 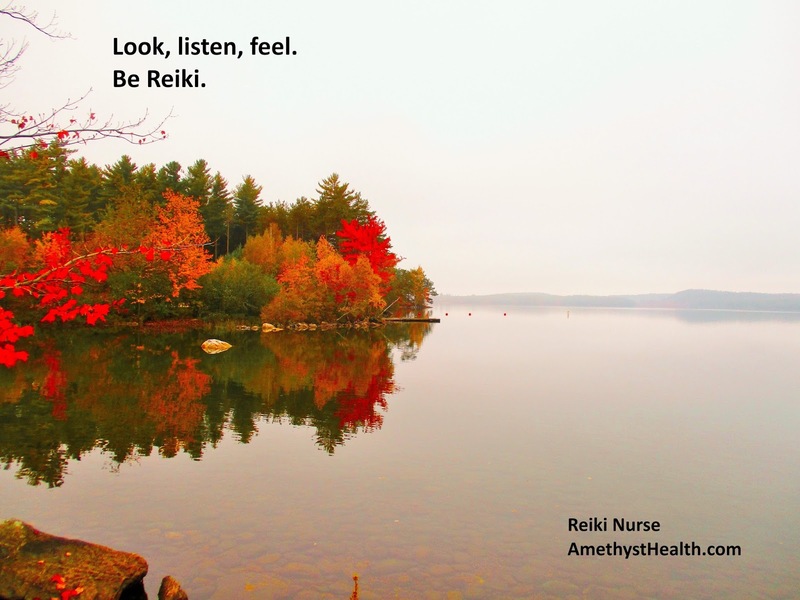 Be Reiki. According to a recent reader I live my life not in deliberate considered steps but similar to a squealing zigzagging zebra. you talk with your loved ones, your guides, your helpers. You hear validations, explanations, and confirmations. You hear truth. You get a new perspective. Try it. Friends are giving me fresh eggs from their sweet chickens. The girls roam during the day and are tucked in a coop at night. Their eggs are small, brown or green, oval; the yolks a deep yellow-orange. Went to Kirtan. Happy Diwali! We sang, it got loud. Music therapy from the inside. since I OD'd on Halloween. Am managing sugar withdrawal without sedatives, anti-psychotics, and analgesics. Participated in an International Reiki Retreat on Orr's Island last weekend. Reiki practitioners from our local cancer outpatient center were joined by honored guests: local Reiki masters and psychics. 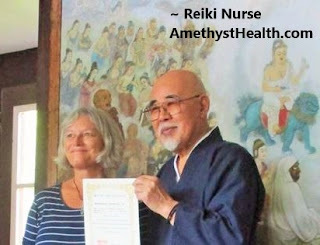 One Reiki master traveled from Canada. We stayed in a 3-storey, 4 BR and 2 bathroom house on a rocky beach. I slept in a twin bed in a cozy room; my head was beside a window. From bed I could see the ocean; constellations, crescent moon, and planets; pine trees and red berry bushes. One morning I hiked up the hill in back of the house and startled three deer. They took off in different directions. I could see and hear them as they bounded away, white tails up and wagging. Suddenly one deer was charging straight at me. It saw me, stopped, and bolted away again. I went for a bike ride up the road and met the neighbor, walking his dog. His house was a white mansion; one end all glass. We chatted. I biked on. Rode to the town and it's harbor. We dragged a table down to the beach and shared Reiki there. We all got table time. It was good. I saw myself as a shiny brown oak leaf, floating in the cosmos. It was a rocky beach. Lots of milky and smoky quartz, some jasper, some citrine. I like the eggy milky quartz stones. We did Reiju on the beach too, the new Komyo Reiki Kai method. The waves, always the sound of the waves. Quiet as the tide recedes, loud crashing when it comes in. A psychic came and did readings for everyone. She was fabulous. 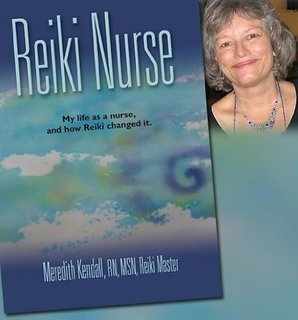 One of the Reiki practitioners was a medium; she read for me and was great. We ate good vegetarian food. Lots of gluten-free, dairy-free, and vegan choices. We drummed and danced. People brought hand-made items so we traded and purchased salves, stone jewelry, and stained glass. I gave away books. People gave me jewelry and glass. We talked about Reiki, energy, and enlightenment. Almost one week, no candy. OD'd on sugar yesterday. Darn Halloween candy. Maybe I'll give up chocolate. No more candy. Maybe. I bought a big bag of little candy bars and ate them. Bought more big bags of little candy bars. Didn't get many trick-or-treaters and am left with most of the candy. Gave out hands-full to all who came. There were many princesses, some scary clowns, and some monsters. The best one was a kid dressed in a black hooded gown. His mask had a stream of blood that ran when he pressed a button. Wicked cool. Will maybe give up chocolate.